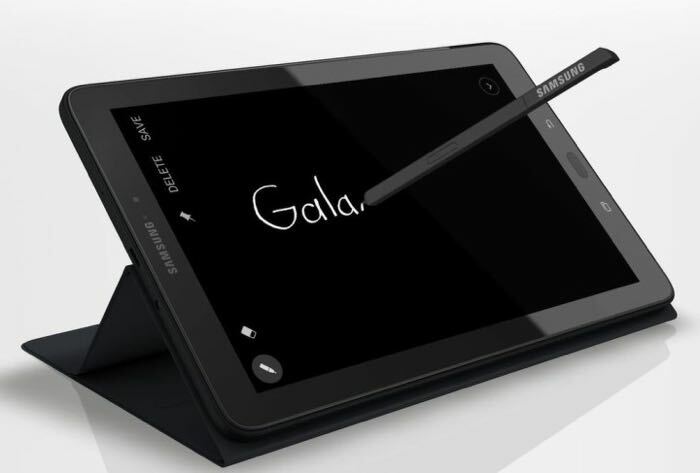 Samsung launched a new version of their Samsung Galaxy Tab A a few months back, but the company is also working on another version of the tablet, this one will come with the Samsung S Pen. The picture above shows the updated Samsung Galaxy Tab A with the S Pen, the specifications on the tablet will apparently be very similar to the device that launched earlier this year. The tablet will come with a 10.1 inch display and will feature a Samsung Exynos 7870 processor and will come with 2GB of RAM. Other specifications on the tablet will include 16GB of built in storage and a microSD card slot for expansion. The tablet will also come with a 2 megapixel front facing camera and an 8 megapixel rear camera, plus a 7300 mAh battery. It is possible that we may see this new Samsung tablet with the S Pen at IFA later this week, as soon as we get some more details, we will let you guys know.